Cost: $1400, or early bird discount rate of $1200 for registration by June 1st; includes onsite camping, delicious local organic breakfast, lunch & dinner, and course fees. 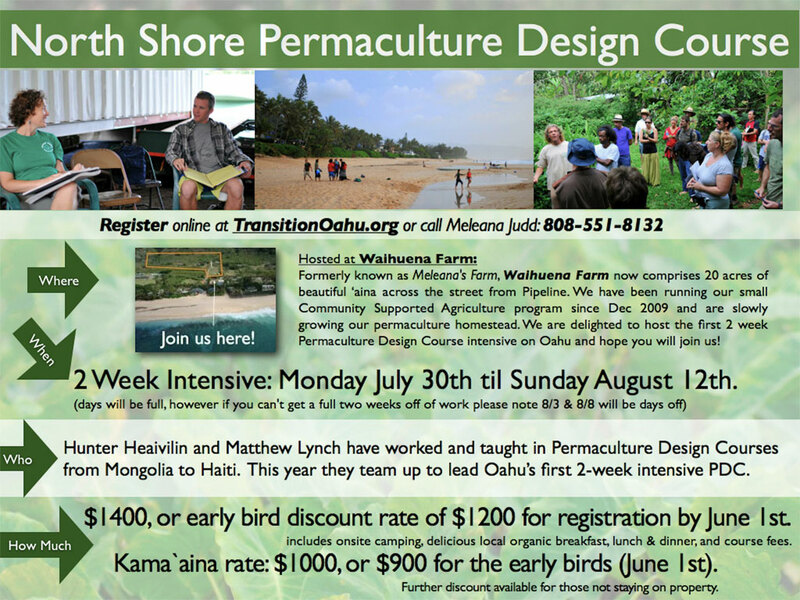 Kama`aina rate: $1000, or $900 for the early birds (June 1st). Further discount available for those not staying on property. We are working on scholarships and don't want to turn down dedicated students for lack of funds, a portion of the out-of-state costs goes towards these scholarships. $200 non-refundable deposit secures your space (and your early bird rate!). Lodge & Beachfront accommodations are available at discount rates for course participants in either bunk or private rooms. Contact Meleana Judd at: meleanajudd@gmail.com for more details. Throw To Grow Profile: Matthew Lynch Part 01 from nathan m peracciny on Vimeo. $200 non-refundable deposit required to hold your space. Balance due by first day of class. Register via check or Paypal. Please also fill out registration form on left. 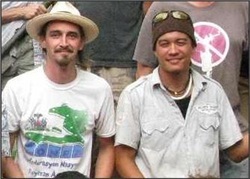 Our host at Waihuena Farm is Meleana Judd.